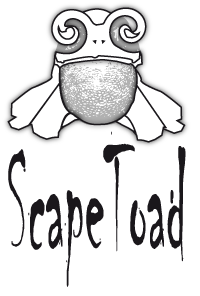 The ScapeToad project has been developed as part of the project "Our Inhabited Space", under the direction of Prof. Jacques Lévy, Chôros Laboratory, EPFL-ENAC-INTER. The project gratefully acknowledges the support of the SNF NRP54 research grant. Appel, A., Stein, A. and Evangelisti, C. (1983). Animating quantitative maps with cellular automata. IBM Technical Disclosure Bulletin, 26(3A): 953-956. Bailey, W.B. (1911). Apportionment maps of the United States. The Independant, 6 April 1911. Cosgrove D. E. (2001). Apollo’s Eye: a cartographic genealogy of the earth in the Western Imagination. JHU Press, 2003. Dorling, D. (1996). Area cartograms. Their use and creation. Geo Abstracts, University of East Anglia, Norwich. Dougenik, J., Nicholas, A., Chrisman, R. and Niemeyer, D. (1985). An algorithm to construct continuous area cartograms. Professional Geographer, 37(1): 75-81. Du, C. and Liu, L. (1999). Constructing contiguous area cartogram using ArcView Avenue. In Proceedings of GeoInformatics ’99, 19-22 June 1999, Ann Arbor, University of Michigan. Gastner, M.T. and Newman, M. (2004). Diffusion-based method for producing density equalizing maps. In Proceedings of the National Academy of Sciences of the United States of America, 101(20): 7499-7504. Gusein-Zade, S. and Tikunov, V. (1993). A new technique for constructing continuous cartograms. Cartography and Geographic Information Systems, 20(3): 66-85. Henriques, R.A.P. (2005). Carto-SOM: Cartogram creation using self-organizing maps. Master thesis, Instituto Superior de Estatistica e Gestão de Informação da Universidade Nova de Lisboa. Herzog, A. (2005). MAPresso. Computer program. Jackel, C.B. (1997). Using ArcView to create contiguous and noncontiguous area cartograms. Cartography and Geographic Information Systems, 24(2): 101-109. Keim, D.A., North, S.C. and Panse, C. (2005). Medial-axis-based cartograms. IEEE Computer Graphics and Applications. 25(3): 60-68. Kocmoud, C.J. (1997). Constructing continuous cartograms: A constraint-based approach. Master thesis, Texas A&M Visualization Laboratory, Texas A&M University. Krygier, J. (2008). 1911 Cartogram: “Apportionment Map”. Web page. Langlois, P. (2003). Anamorphose par transformations pseudo-équivalentes. In 6èmes Rencontres de ThéoQuant, Besançon, Laboratoire ThéMA. Tobler, W. (2004). Thirty five years of computer cartograms. Annals of the Association of American Geographers, 94(1): 58-73. Vividsolutions Inc. (2008). JUMP Unified Mapping Platform. Website. W3C (2003). Scalable Vector Graphics (SVG) 1.1 Specification. W3C Recommendation. Wolf, E.B. (2005). Creating contiguous cartograms in ArcGIS 9. In Proceedings of the 25th Annual International ESRI User Conference, 25-29 July 2005.